Dedicated to the memory of Rocky & Scott Beller, the Beller Family Foundation is leading a community campaign to build the Washington Multi-purpose Facility. Located at the east end of the Washington High School Football field, the approximately 52,000 square foot multi-purpose building will benefit Washington athletes and sports programs with areas for meeting, training, practice and coaching. The multi-purpose facility will be built entirely with private funds and labor, then given to Washington High School for their long term use. 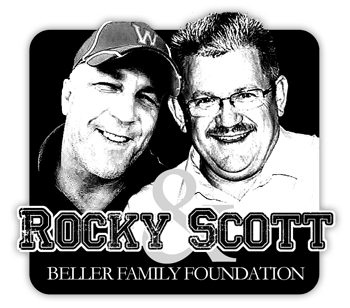 Tragically killed in a plane crash December 2011, Rocky & Scott Beller were widely known for their love and support of youth sports in the area. The Beller Family Foundation was formed to honor Rocky & Scott by supporting community projects and programs that will benefit sports activity and development for youth of all ages. Read more here about the story of Rocky & Scott Beller. The Washington Multi-purpose Facility Project, estimated to be an 18 month effort (March 1st, 2012 - September 1st, 2013). This website will be the central location for news, updates and information as well as photos, needs, schedules, news, developments and financial reports. The Beller Family Foundation is a non-profit (501C3) organization; 100% of all donations, pledges and support of any kind will be used directly for the project. Complete and accurate financial reports accounting for every penny donated and pledged will be posted on this website for the public to view. Check this website often for news, needs and opportunities to be involved. Donations: To give an immediate donation via check, credit card or cash, click here. This website will be the central point of content and news for the project. Check back often for updates, photos and new information.